At last week's Future Decoded event in London, Microsoft's Jenny Lay-Flurrie outlined some of the incredible innovations taking place in accessibility - from 3D audio cues helping people with visual impairments navigate the world, to adaptive Xbox controllers designed for gamers with limited mobility. But it's not just tech giants like Microsoft supporting the mission to empower people with disabilities through new developments in tech. There are innovations being made across the globe, within start-ups, charities and tech giants alike, to help drive this mission forward. Swedish eye-tracking tech Tobii is one of these companies looking to make a difference. The technology could help people with disabilities participate more actively in gaming, given the high accuracy of the tech and its ability to scale. Free app Be My Eyes is another incredible innovation starting to gain traction. Every day, sighted volunteers lend their eyes to solve tasks big and small to help blind and low-vision people lead more independent lives. Start-up GiveVision uses augmented reality and virtual reality to help people see - its potential impact being so great that it was named Wired's Health start-up of last year. Further advances in technology, such as artificial intelligence (AI), will no doubt drive a further upsurge in accessibility opportunities in future. 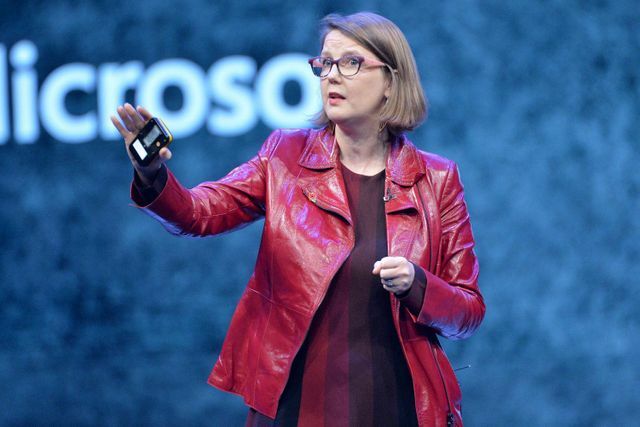 For now, it's vital that tech giants like Microsoft continue to push these innovations forward and support the start-ups looking to make a difference.